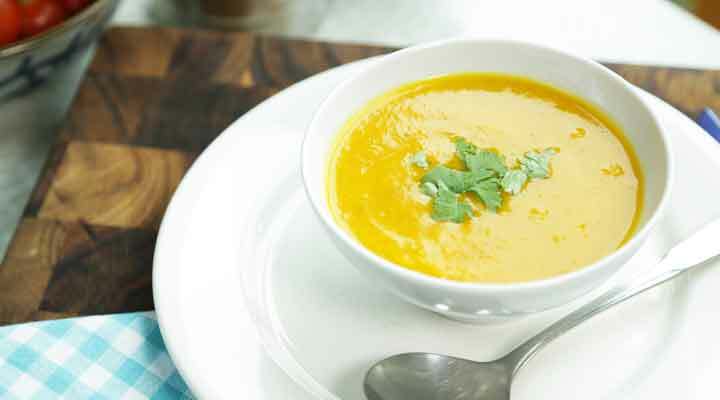 Operation Transformation Recipe - This soup is a great companion to a healthy sandwich at lunchtime. Place the butter in a pot on medium heat. Add in the onion and saute until soft. Add the potato and carrots and toss until well coated. Pour in the stock and bring to the boil. Lower the heat and simmer for 20 minutes until the vegetables are tender. Add the coriander and serve hot.